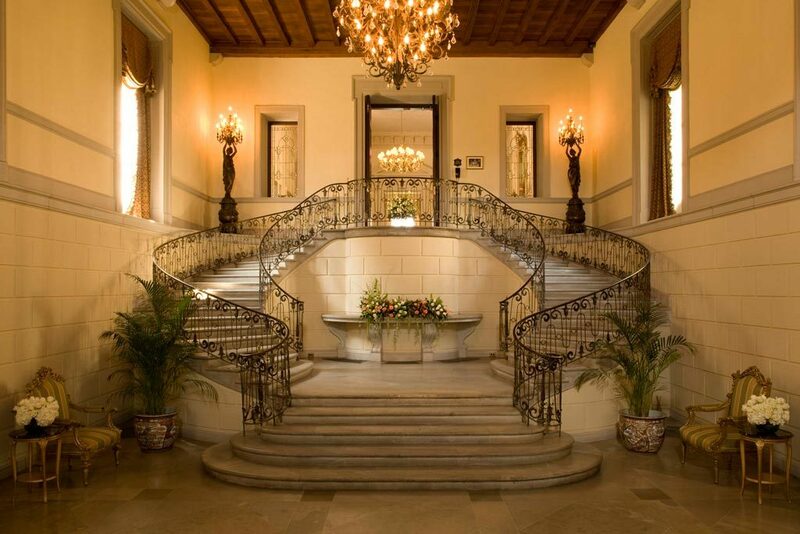 Long Island Newsday’s recent feature story of Gary Melius describes his acquisition and renovation of Oheka Castle in Huntington. This beautiful French Chateau style mansion was designed in 1919 by the premier Beaux Arts architectural firm of Delano and Aldrich in New York City for the investment banker and philanthropist Otto H. Kahn. 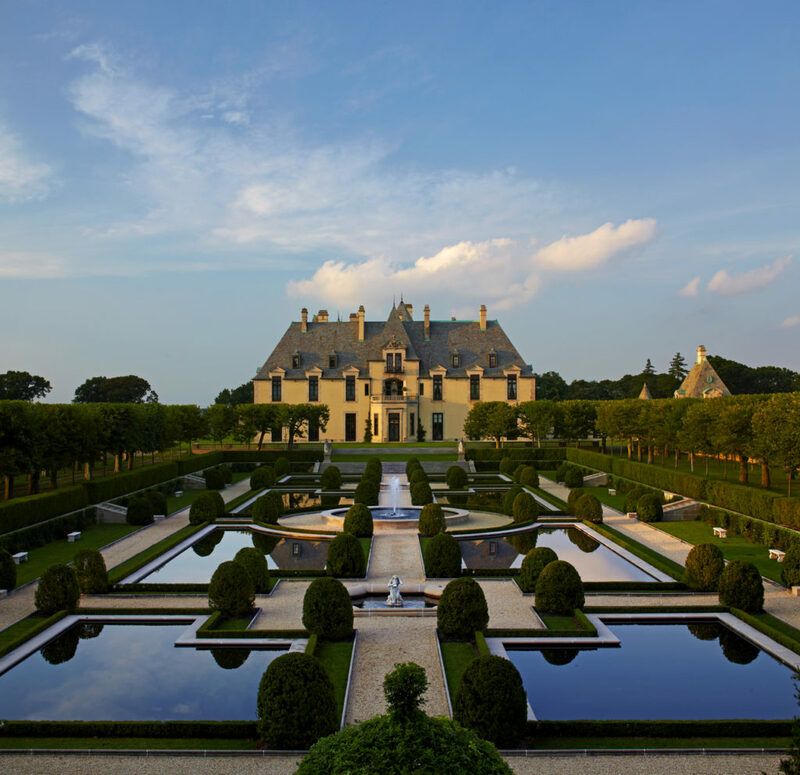 Kahn wanted a summer home for himself and his wife Addie to be the best house on Long Island and hired the influential Olmstead Brothers (sons of Frederick Law Olmstead of Central Park fame) to design the 443 acre grounds, golf course and gardens in the French Manor style. At approximately 109,000 gsf, this 127-room house sits atop the highest point in Cold Spring Harbor. 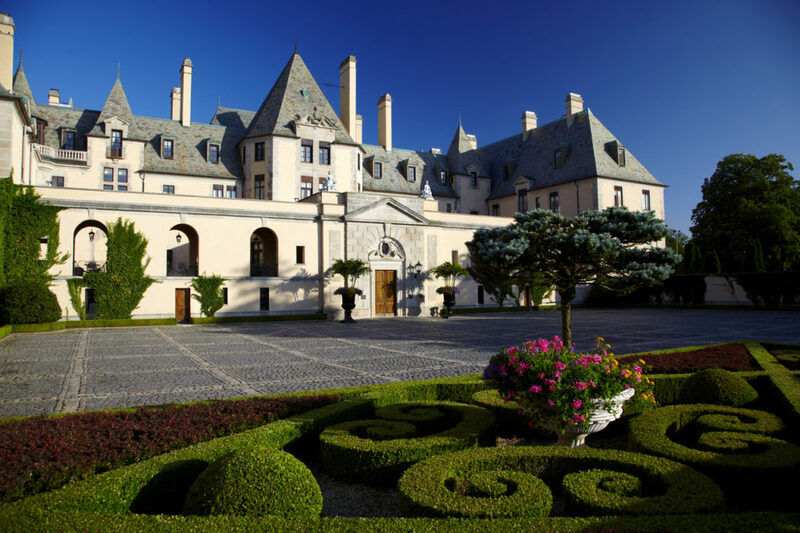 Oheka Castle holds the position of second largest private estate in the United States, second only to the Biltmore Estate in Asheville, NC designed by New York architect Richard Morris Hunt for George W. Vanderbilt. The main grand staircase leading to the second floor was inspired by the Chateau de Fountainebleau in Paris, France. Delano was concerned about adding too much ornament to the house’s massive size. To achieve this he relied on exacting proportions in plan and elevation together with mixing textures in the stucco facade. To help give the home an aged appearance, cobblestones from NYC were reclaimed and utilized in the central court. The use of stone, terra- cotta block, and Carrara marble provided authenticity and fire-proof construction. This most stunning of Long Island’s gold coast estates was evaded by Robert Moses when designing the Northern State Parkway. Shortly following the death of Otto Kahn, the estate was occupied by the New York City Department of Sanitation as a retreat house for its membership until 1948 and then Long Island branch of the Eastern Military Academy until 1978. In the six years prior to Melius acquisition in 1984, the home was severely vandalized and had fallen into disrepair. 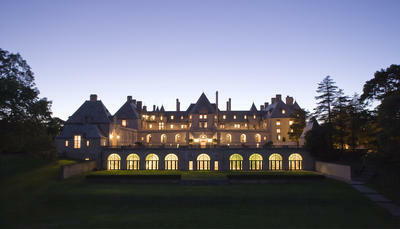 Today, Oheka Castle is better known as a special hotel and wedding venue. The original golf course, designed by course architect Seth Raynor in 1919, is now home to the Cold Spring Country Club.